Pupils in second class enjoy games with rules as part of their daily Aistear session. Board games such as Snakes and Ladders, Bingo and Connect 4 give pupils lots of opportunities to come together in small groups to follow instructions and co-operate. 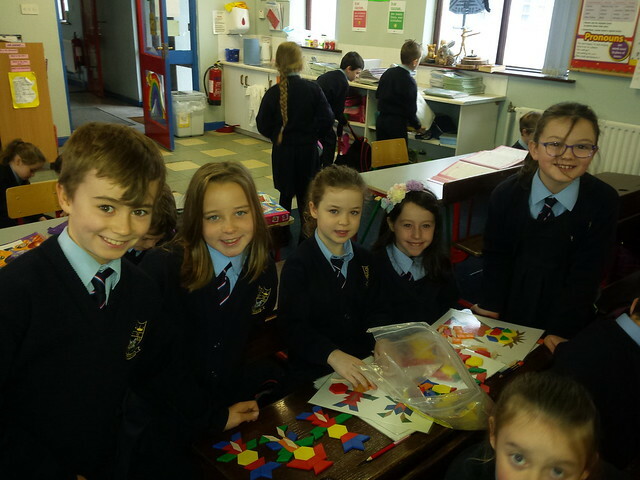 Pupils love to explore different designs using tangrams during Aistear time in second class.